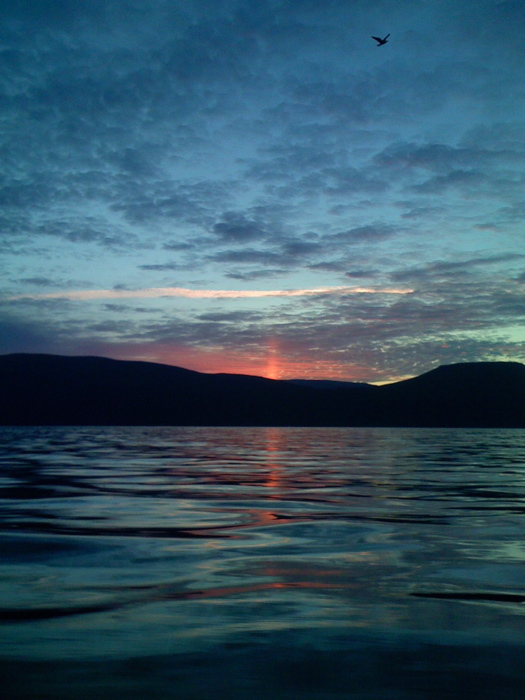 from Saturday, July21st of the year2007. Okay wow, hi. 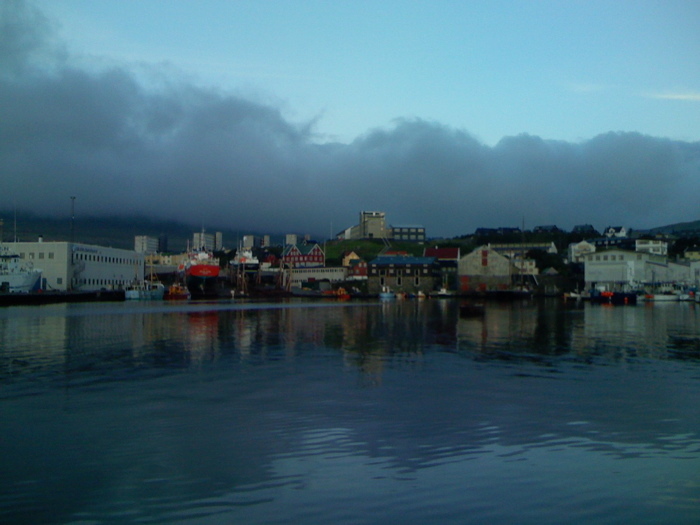 I am writing this from Tórshavn, the capital of the Faroe Islands. It is hard to imagine that I have only been here for two days, as so much has happened. Ostensibly, I am here to witness the G! Festival, in GÃ¸ta. 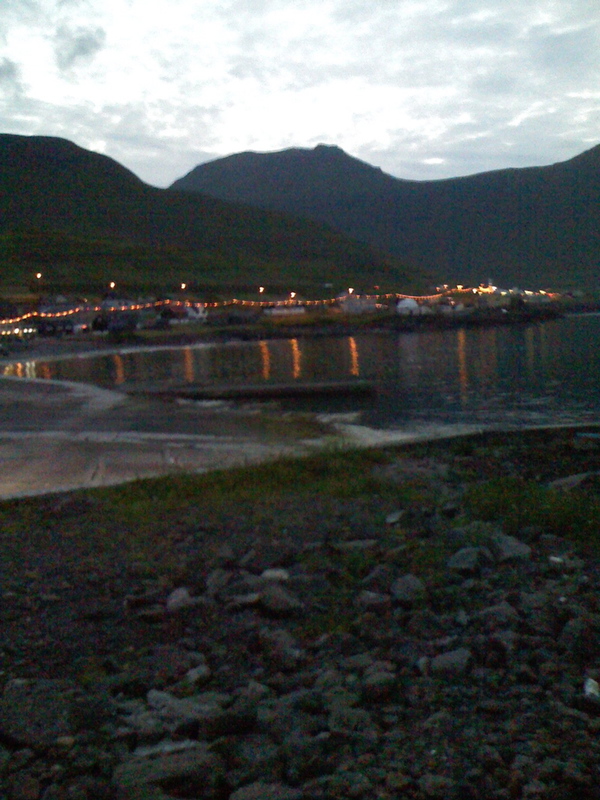 The deal is that the festival has installed itself at the bottom of a fjord, with three open-air stages (see picture; all pictures in this post should be click-to-enlarge). I’m going to write about the festival, but not just now, because I want to write down what happened on the first day before I forget. The plane from Reykjavík to VÃ¡gar (where the airport is, on an island about an hour west from the capital) was filled with two large groups. The first was Icelandic musicians Pétur Ben, Ultra Mega TeknobandiÃ° StefÃ¡n and Dr. Spock, all of whom great and worth checking out. They were traveling with their bands. Then, on the same flight and all shuffled in with everybody was a Faroese soccer club who had just lost against one of Reykjavík’s soccer clubs. Suffice it to say that despite the 5 PM departure time, people were pretty well into their cups by the time of boarding. The duty free shop by the gate in the tiny, tiny ReykjavíkurflugvÃ¶llur ensured that everybody who wanted it had unfettered access to more plastic airplane-safe bottles of Opal, a fierce Icelandic licorice-and-death flavored thing that is traditionally shot and chased with beer. During the hour-long flight, it became clear that the nourishment on board was in three Formats. Format the First was shrimp salad sandwich. Format the Second was a shot of akavit and a beer, and Format the Third was strong coffee. Right. The man next to me (the physiotherapist for the Faroese soccer team – see a team member above, glumly waiting for his luggages) introduced himself and before I knew it, I was plunged into a very involved conversation about Dweezil Zappa, probably the most involved conversation about Dweezil Zappa I have ever, and will ever, have. (It came to pass that he was a Zappa fan because he had heard tell of it in the 70’s in Faroe, and then when he was a cook on a shipping freighter between Faroe, Greenland, and Boston, he asked a Boston cab driver to take him to a store where such records could be bought). It occurred to me at that time that the last time anybody even said “Dweezil Zappa” to me was my Uncle David, who runs the Appalachia chapter of the Sierra Club out of Bland, VA, and who is (rightfully) obsessed with Frank Zappa and has made of his discs many gifts for me over the last few years. Is now a good time to plug my own favorite? We landed. I talked my way onto the Icelandic bands’ bus that was to take them from VÃ¡gar to GÃ¸ta, where the festival is. There is a real “more the merrier” attitude in Scandinavia that doesn’t exist elsewhere in the world; try talking your way onto a chartered shuttle bus between La Guardia and JFK if you want to see the Exact Opposite. Or, try to convince British Air to put you on a clearly undersold flight two hours earlier than your own; the last time I tried that, I reached “write your name on the wall in your own fÃ¦ces”-levels of frustration; visit the BA check-in desks at Heathrow if you have yet to discover this particular pitch on your emotional gamut. In any event, somebody brought along more unopened whiskey; it hadn’t been consumed before this point because the stern Faroese stewardess had to literally pry it from a man’s hands during our landing. 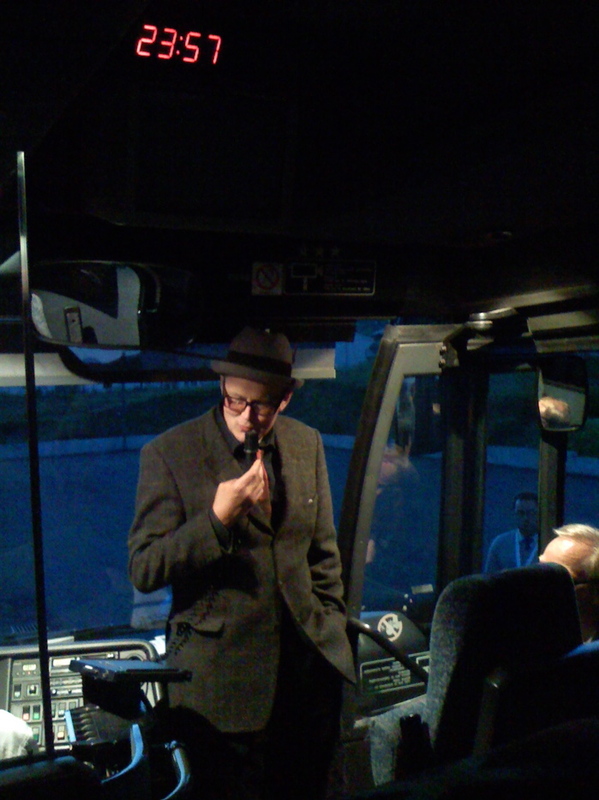 The bus got a little lost in a maze of one-way streets, and to keep spirits high, Siggi grabbed the announcement mic and began telling what I think amounted to “There once was a man from Nantucket” rhymes, but in Icelandic. 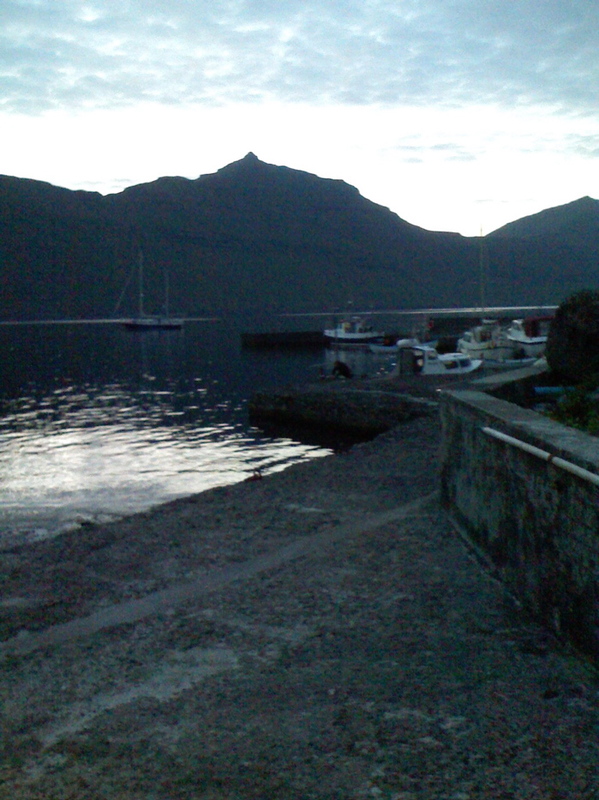 …and then finally some rest. 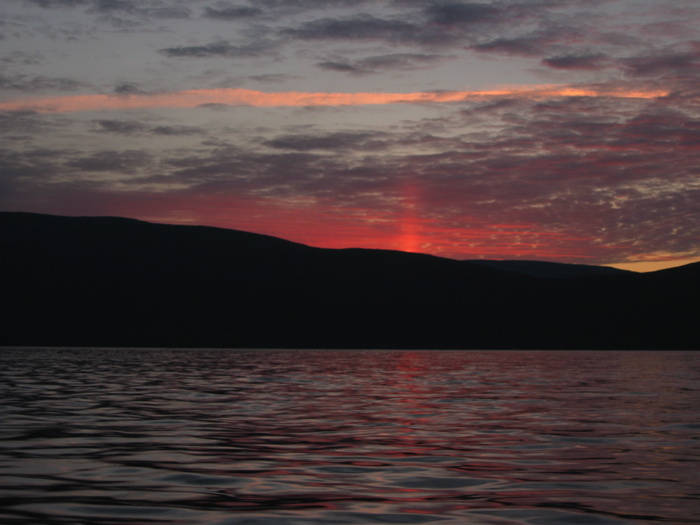 More on this, the festival, whaling, fly-catching, to come.